Ramadan Iftar Sehri Timing 2019. 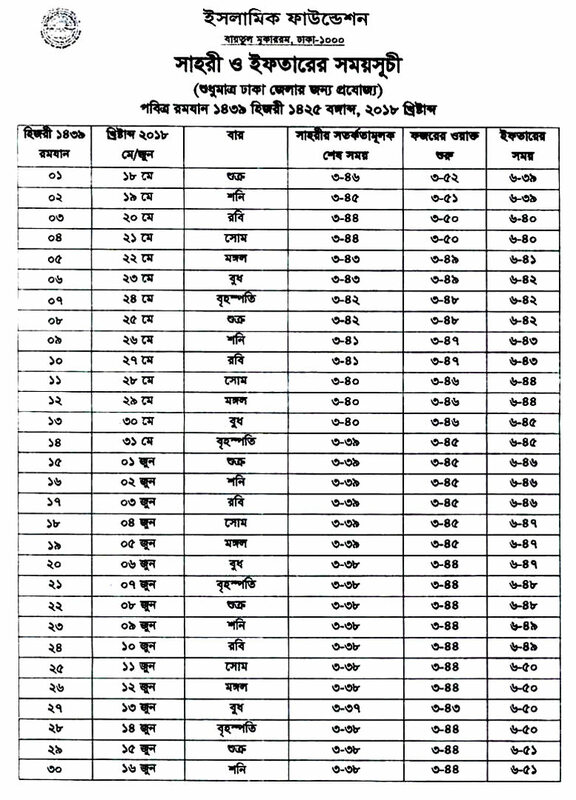 Dhaka Ramadan Timings 2019. 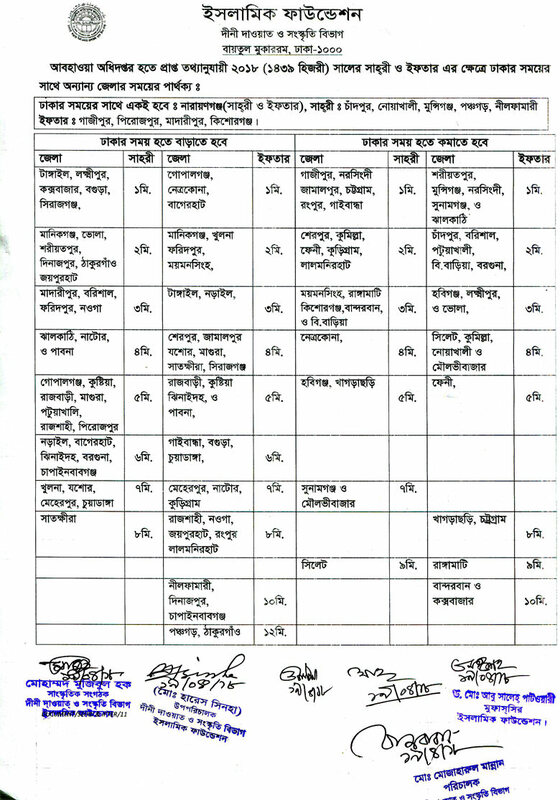 Bangladesh Ramadan Timings 2019. World Wide Ramadan Timing 2019. Islamic foundation of Bangladesh Ramadan Calendar 2019. Ramadan calendar 2019 is now available at bdcareer.net. Holy Ramadan for 1439 Hijri is reached with packages of pleasure and blessings. Eid ul Fitr in Bangladesh will be celebrated on due time 2019. 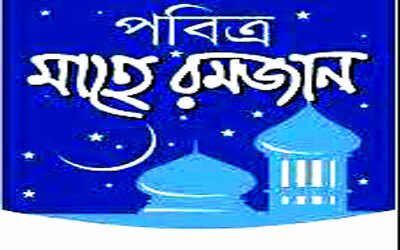 Ramadan in Bangladesh from Tuesday as the moon if sighted in the Sky ant part in the region. Muslims in Bangladesh will begin fasting from Tuesday, 07 May 2019 as the National Moon Sighting Committee says Ramadan begins on that day, if the moon sighted in any part of the country on due day. 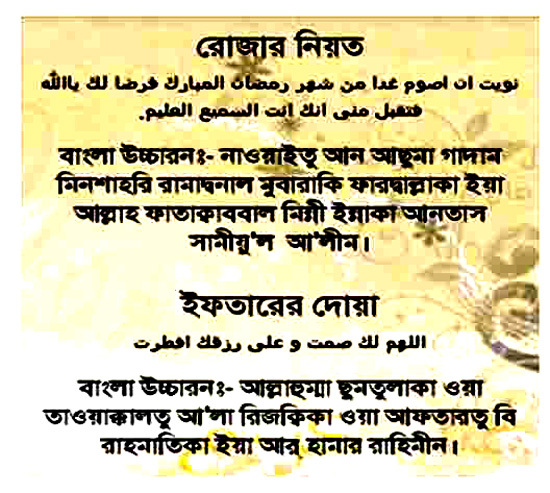 Get perfect fasting schedule for not only Bangladesh but also for the different parts of the world. 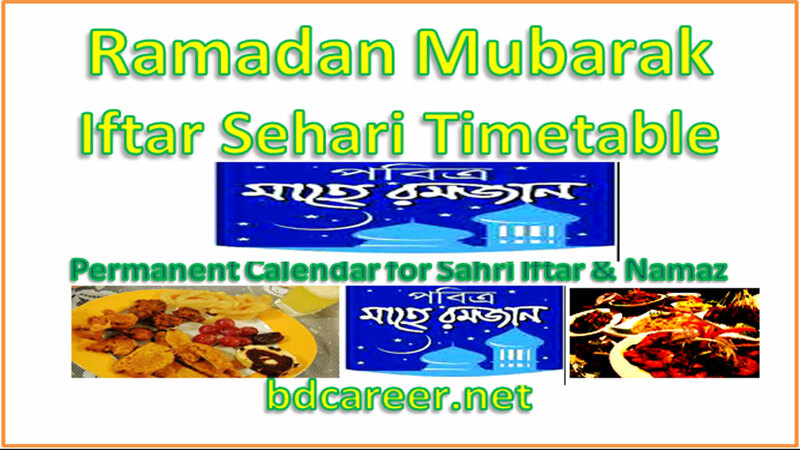 bdcareer.net offers sehri and iftar timings for Ramadan 2018. No difficulty, which parts of the world your resident in. This calendar will assist you to tell the exact fasting opening and closing timing for your city or country. Roja is the third Pillar among the five pillars of Islam. The Five Pillars of Islam are Kalema, Namaz, Roja, Hajj, and Zakat. Ramadan is the 9th calendar month of the Arabic calendar which month calls the World Muslims fasting month or Roja Month where Muslims of worldwide keep fasting for a perfect time. Ramadan will be started from 07 May 2019. Depends on appears seen the Moon in the sky. Eid ul Fitr in Bangladesh will be held on 06 June 2019. Most probably Eid ul Fitr in Bangladesh will be observed on 06 June or 05 June 2019. If Ramadan lasts for 29 days, then Eid will be held on 05 June 2019. But if Ramadan lasts for 30 days or if we failed to see the moon on 04 June then we will celebrate the Eidul Fitr on 06 June 2019. 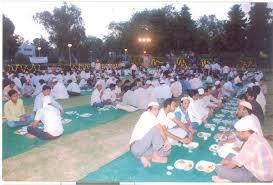 Iftar is the meal served at sunset during Ramadan, as Muslims break the daily fast. 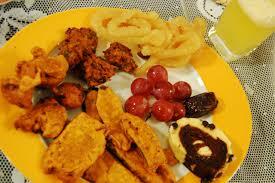 Muslims traditionally first break the fast with dates and either water or a yogurt drink. 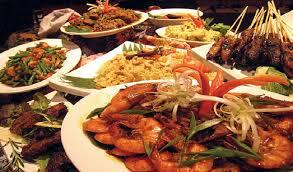 After Maghrib prayer, they then have a full-course meal, consisting of soup, salad, appetizers, and main dishes.